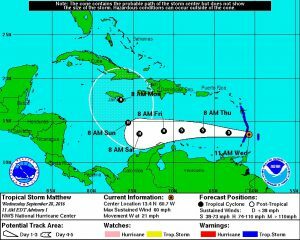 This morning at 11 am the National Hurricane Center began issuing advisories on Tropical Storm Matthew, which formed from Investigation 97L. The NHC has been watching this investigation cross the Atlantic for several days but it has finally developed the closed circulation that allows it to be designated as a tropical storm. 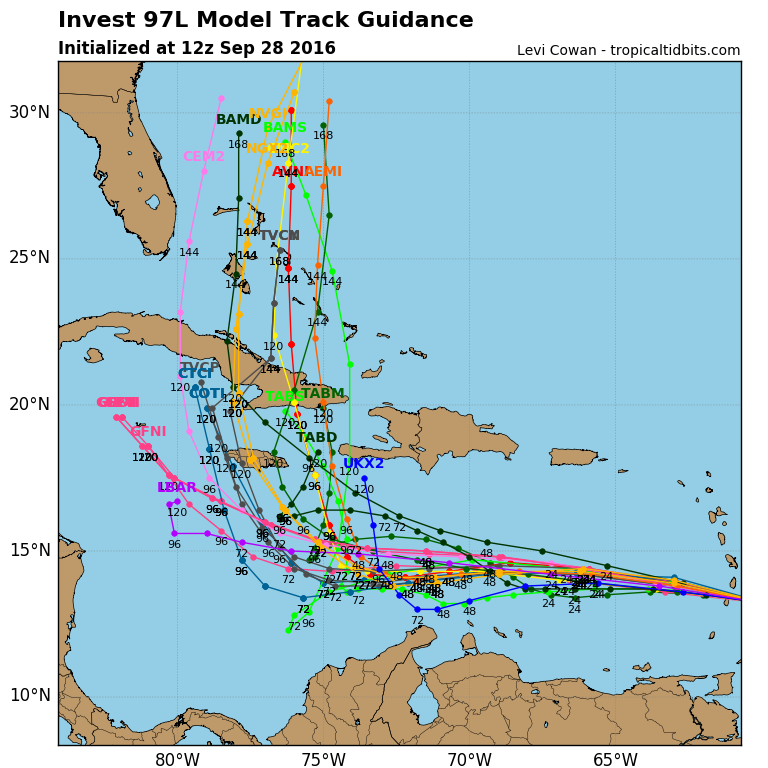 Currently Matthew is moving WNW towards the Gulf of Mexico, but almost all of the forecast models are predicting that it will take a hard right turn and move northward east of and parallel to the Florida coast. 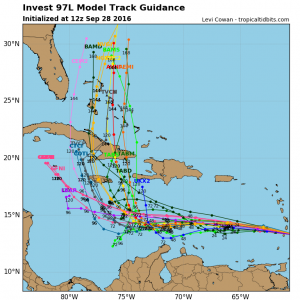 If it follows the expected path, it probably won’t affect most of the Southeast, with the possible exception of North Carolina, but if it goes just a bit farther west than expected, the Southeast could be in play. So if you have upcoming outdoor activities or meetings that require travel around the Southeast, you are going to want to watch this one. Sea surface temperatures are very warm and could help Matthew develop quickly into a hurricane.